Myofascial Pain Dysfunction (MPD) is a regional muscular pain characterized by the presence of trigger points (TrPs), which are painful points cause referred pain when stimulated. There are many treatment modalities for MPD. However, no treatment has proved its superiority over the others yet. To figure out what is the most effective treatment in relieving pain in patients with myofascial pain dysfunction (MPD) among local anesthesia, botox and trigger point dry needling. We conducted the review according to the Cochrane methods. We searched the Cochrane Oral Health Group Trial register, Cochrane Central Register of Controlled Trials, MEDLINE, the WHO International Clinical Trial Registry Platform for ongoing studies (30 June 2018) and hand searched citation lists of relevant publications. Two review authors assessed trials for inclusion, risk of bias, extracted data, and checked for accuracy. We have expressed results as risk ratio or mean differences (MD), together with their 95% confidence intervals (CI). We included 2 trials of 3 reports (65 participants). One trial reported pain relief immediately after injection of local anesthesia and dry needling (MD -7.00, 95% CI -32.02 to 18.02). No meta-analysis was conducted because of lack of data. There is insufficient evidence to support the superiority of one intervention over the others or no difference among them in the treatment of MPD of muscles of mastication. Myofascial pain dysfunction (MPD) is a condition affects both muscles and fascia. It is characterized by painful points called trigger points, which may be single or multiple within taut muscle bands. It is also associated with local twitch response when stimulated by pressure or needling generating referred pain to a particular pattern. It is frequently accompanied by headache and limited mouth opening [1-4]. Studies that are conducted in pain management have shown high prevalence of MPD in patients presenting with regional pain, ranging from 30% to 93% [5-9] aged from 30 to 50-years-old  and in women . The actual cause of MPD is still unknown but there are a number of precipitating factors that have been suggested. For instance; bruxism, clenching, head-neck trauma, psychological factors, anxiety and depression . The diagnosis of MPD is based on exclusion of any other temporomandibular disorder (TMD), the identification of trigger points in the taut band through palpation of sensitive nodules, local twitch response and specific patterns of pain referral associated with each trigger point [3,6]. Because of the unknown underlying mechanism, multiple techniques are usually recommended. For example; trigger point inactivation using dry needling, local anaesthesia or botox injection [3,6,11], splint therapy, patient education and behavior therapy, physiotherapy, drug therapy and combined treatments [3,12-15]. Drugs used to treat MPD include analgesics, non-steroidal anti-inflammatory drugs (NSAIDS), muscle relaxants and tricyclic antidepressants [16-18]. Botulinum toxin-A is a potent neurotoxin produced by the bacterium Clostridium botulinum in the anaerobic conditions [19,20]. A number of botulinum toxin-A preparations have been approved in different countries; Botox, Dysport, Xeomin, Prosigne and PurTox (Truong, DD 2006). Treatment doses of botox vary depending on the brand of toxin used. The dose given for any toxin refers only to that particular preparation and does not readily transfer to doses of other products, even if they are of the same toxin serotype. These ratios should be applied with extreme caution because different preparations may have different efficacy in different parts of the body . The typical duration of action ranges from three to four months . Botox has a large safety margin . Local side effects reported for botox use include pain, erythema, ecchymosis . Systemic side effects are rarely reported, generally not dose related, and include transient weakness, fatigue, nausea and pruritis . Contraindications to botox are few such as pregnancy and breastfeeding, disorders of the neuromuscular junction (myasthenia gravis) and theoretical drug interactions (aminoglycoside antibiotics, quinidine, calcium channel blockers, magnesium sulfate, succinylcholine, and polymyxin) . Local anesthetics are drugs used to inhibit pain sensation. They are classified according to their chemical structure into ester group and amide group. They are metabolized either in liver or in plasma and eliminated from the body by the kidney. Local anesthetics used for injection of MTrPs are without vasoconstrictor. They have different potency, allowing for concentrations ranging from 0.5 to 4%. Some studies demonstrated that the lower concentrations are more beneficial than higher ones . They have a wide safety margin because the dose is weight dependent. The local side effects are mostly mild such as pain, edema, erythema. Systemic side effects are dose related and rarely reported such as toxicity and allergy . Dry needling refers to the insertion of thin monofilament needles without use of solution. Dry needling is typically used to treat muscles, ligaments, tendons, subcutaneous fascia and neurovascular bundles for the management of a variety of neuromusculoskeletal pain syndromes . Botulinum toxin, It is presumed that botulinum toxin breaks the spasm/pain cycle by blocking the release of acetylcholine, with a few months duration of action [29,30] leading to reduced muscular contraction . This inhibition of muscular contraction is believed to be followed by the sprouting of new axon terminals, which results in synaptic regeneration and the reestablishment of neuromuscular transmission . Local anesthetics relieve pain by interruption of neural conduction by inhibiting the influx of sodium ions through channels within neuronal membranes. Normally these channels exist in a resting state, during which sodium ions are extracellular. When the neuron is stimulated, the channel assumes an activated or open state, in which sodium ions diffuse into the cell, initiating depolarization. Following this sudden change in membrane voltage, the sodium channel assumes an inactivated state, during which further influx is prohibited while active transport mechanisms return sodium ions to the outside. Following this repolarization, the channel returns to its normal resting state there are various theories on the mechanism of action of injection therapy in treating MPD . Some believe that pain relief is brought about by the mechanical effect of insertion of the needle. Others believe that pain relief is due to the pharmacological action of the local anesthetic agent, while the type of anesthetic, its concentration, and the volume of the dose injected are claimed to be of no significance . Trigger Point Dry Needling (TDN), there is some emerging research, but the exact mechanisms of action of direct needling in the deactivation of trigger points are not yet revealed . However, there are some postulated theories on how TDN might work. First, its effect on the taut band as it has been demonstrated that TDN may influence the spontaneous electrical activity 'SEA' by eliciting a local twitch response 'LTR' [35,36]. The insertion of a needle at the endplate region may lead to increased discharges and thereby immediately reduce available acetylcholine stores, leading to a lesser SEA. Another working mechanism could be that sufficient mechanical needling activation around the endplate area causes muscle fibers to discharge and thus elicit a local twitch response. This response causes alterations in the length and tension of the muscle fibers and stimulates mechanoreceptors like the A"-fibers . Second, its effects on blood flow. As previously mentioned, sustained contractures of taut muscle bands might cause local ischemia and hypoxia in the core of the MTrPs. Different studies have demonstrated that needling may increase muscle blood flow and oxygenation [37-40]. Several mechanisms have been suggested to explain the response of blood flow in needle stimulation. The most plausible one is the release of vasoactive substance, such as Calcitonin gene related peptide (CGRP) and Substance P (SP) which upon activation of Aδ- and C-fibers via the axon reflex, leads to vasodilatation in small vessels and increased blood flow . There is a discrepancy in the literature whether this increase in blood flow is restricted to the needling site or if vasodilatation and increases in blood flow also extend beyond the site of stimulation. Some studies have demonstrated remote circulatory effects with needling , whereas others did not show an increase in blood flow at distant sites of the needling [37,40]. Also, it was found an increase in a number of hypoxic-responsive proteins. These proteins can promote angiogenesis, vasodilatation, and altered glucose metabolism in hypoxic tissues . Repeated localized TDN may potentially increase capillarity in the skeletal muscle and improve the circulation in muscles containing MTrPs. However, longer term follow-up studies are needed as the effects on circulation beyond 5 days remain unclear. MPD is a common condition among the population who are complaining from pain which represents almost 50% of temporomandibular disorder (TMD). 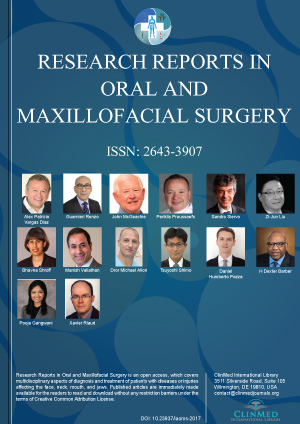 There is a wide array of literature on this topic but none of them has compared the botox versus local anaesthesia versus dry needling in MTrPs injection in the face. There is inconclusive evidence on which one is the most effective in MTrPs treatment in the face despite their common use. This review might help practitioners making well-informed healthcare decisions. 2. Quality of life measured by Nottingham Health Profile (NHP) . Time frame: All the outcomes were assessed after three months of follow up, both immediately and after three months starting from time of last injection. 1. Monthly searches of the Cochrane Central Register of Controlled Trials (CENTRAL). 2. Weekly searches of MEDLINE. 3. Weekly searches of Embase. 4. Hand search of journals and the proceedings of major conferences. In addition, we searched CENTRAL, MEDLINE, and the WHO International Clinical Trial Registry Platform for ongoing studies using the search strategies detailed in Appendix. Also, we hand searched citation lists of relevant publications. We did not apply any language or date restrictions. The following methods section of this review is based on a standard template used by the Cochrane Pregnancy and Childbirth Group. We assessed for inclusion all potential studies we identified as a result of the search strate. There was no disagreement regarding the selection of the studies. Two review authors extracted the data using a designated form. There were no discrepancies. We entered data into Review Manager Software  and checked for accuracy. When information regarding any of the above was unclear, we contacted the authors of the original reports to provide further details. Two review authors independently assessed risk of bias for each study using the criteria outlined in the Cochrane Handbook for Systematic Reviews of Interventions . There were no disagreements on the assessment of risk of bias in the included studies. The risk of bias assessment was described as "low risk", "high risk" or "unclear" based on certain criteria: (1) Random sequence generation (checking for possible selection bias), (2) Allocation concealment (checking for possible selection bias), (3.1) Blinding of participants and personnel (checking for possible performance bias), (3.2) Blinding of outcome assessment (checking for possible detection bias), (4) Incomplete outcome data (checking for possible attrition bias due to the amount, nature and handling of incomplete outcome data), (5) Selective reporting (checking for reporting bias), (6) Other bias (checking for bias due to problems not covered by (1) to (5) above) and (7) Overall risk of bias. We assessed the likely magnitude and direction of the bias and whether we considered it likely to impact on the findings. We planned to explore the impact of the level of bias through undertaking sensitivity analyses. We carried out statistical analysis using the Review Manager software . For dichotomous data, we presented results as summary risk ratio with 95% CI. For continuous data, we used the mean difference with 95% CI. For cluster-randomized trials, we did not identify any cluster-randomized trials for inclusion in this review. However, if we identify any cluster-randomized trials in future updates, we will include them in the analyses along with individually randomized trials. For cross-over trials, we did not identify any cross-over trials for inclusion in this review. However, if we identify any cross-over trials in future updates we will include data, from the first period if the duration of the period was at least 3 months. For multiple arms RCT, we combined all relevant experimental intervention groups of the study into a single group, and to combine all relevant control intervention groups into a single control group to create a single pair-wise comparison. As an example, in Venancio 2009 , the second report, compared between two groups (0.25% lidocaine, at 0.25% and 0.25% lidocaine at 0.25% associated with corticoid). These two groups were combined as one group (Lidocaine). For included studies, we have noted levels of attrition. We planned to explore the impact of including studies with high levels of missing data in the overall assessment of treatment effect by using sensitivity analysis. For all outcomes, we carried out analyses, as far as possible, on an intention-to-treat basis. No meta-analysis was conducted. However, in future updates if meta-analysis was possible, we will assess statistical heterogeneity in each meta-analysis using the T2, I2 and Chi2 statistics. We will consider heterogeneity as substantial if I2 was greater than 30% and either T2 was greater than zero, or there was a low P value (less than 0.10) in the Chi2 test for heterogeneity. In future updates of this review, if there are 10 or more studies in the meta-analysis we will investigate reporting biases (such as publication bias) using funnel plots. We will assess funnel plot asymmetry visually. If asymmetry is suggested by a visual assessment, we will perform exploratory analyses to investigate it. No meta-analysis was conducted. However, in future updates if meta-analysis was possible, we will carry out statistical analysis using the Review Manager Software . We will use fixed-effect meta-analysis for combining data where it is reasonable to assume that studies were estimating the same underlying treatment effect. If there was clinical heterogeneity sufficient to expect that the underlying treatment effects differed between trials, or if we detected substantial statistical heterogeneity, we will explore this by sensitivity analysis followed by random-effects if required. If we identified substantial heterogeneity, we investigated it using subgroup analyses and sensitivity analyses. We considered whether an overall summary was meaningful, and if it was, used random-effects analysis to produce it. We did not conduct the planned subgroup analyses by the type of local anesthetics, concentration of local anesthetics, and concentration of botox because none of the included studies provided usable data regarding the primary outcomes. In future updates, if data is available, we will assess subgroup differences by interaction tests available within RevMan. We will report the results of subgroup analyses quoting the Chi2 statistic and P value, and the interaction test I2 value. Our planned sensitivity analysis to explore the effect of trial quality assessed by omitting studies rated as high risk of bias and unclear when considering allocation concealment and incomplete outcome data was not conducted because none of the included trials provided data regarding the primary outcomes. The detailed search was depicted in PRISMA flow diagram (Figure 1). We obtained full-text articles of these studies and after assessment, we found 2 RCTs out of the eligibility criteria, , because after translation from Turkish to English, it was found that it worked on cervical MPD. And the other one was . After contacting the author, he said it's a retrospective study. Only 2 studies of 3 reports fulfilled all the inclusion criteria for inclusion in this systematic review [15,47]. We have provided descriptions of studies in the characteristics of included studies (Table 1) and Characteristics of excluded studies (Table 2). The included studies were McMillan 1997  and Venancio 2009 . The details of the included studies were depicted in (Table 1) characteristics if included studies. The excluded studies were GÜL 2009 and Fouda 2014 and the reasons for exclusion were presented in the Excluded studies (Table 2). We provided detailed descriptions of the risk of bias in the included studies in the assessment of risk of bias in included studies' table (Table 3). See Figure 2 and Figure 3 for a summary of 'Risk of bias' assessments. Only Venancio 2009 compared between both local anesthesia and botox but provided unusable data. It assessed pain as an index composed of three subscales: intensity, frequency and duration. McMillan 1997 tested 20 participants randomized to either local anaesthesia or dry needling. The patients were assessed preoperatively, 5 minutes after, 1 hour after and 24 hours after for 3 weeks throughout the study. We used the measurement, 5 minutes after, at the third week (MD -7.00, 95% CI -32.02 to 18.02). Venancio 2009 compared between local anesthesia and dry needling but provided unusable data. It assessed pain as an index composed of three subscales: intensity, frequency and duration. Venancio 2009 compared between botox and dry needling but provided unusable data. It assessed pain as an index composed of three subscales: intensity, frequency and duration. 1. Masticatory efficiency; none of the included studies reported this outcome. 2. Quality of life measured by Nottingham Health Profile (NHP); none of the included studies reported this outcome. Despite the high prevalence of myofascial pain dysfunction (MPD), we found only two randomized controlled trials of three reports [15,47] that fitted our inclusion criteria for this systematic review. One study  compared local anaesthesia versus dry needling and measured the pain intensity on a VAS scale. Only pain score immediately showed insignificant difference between the two groups (Table 4) analysis of local anaesthesia versus dry needling. And one study  had two different reports  as one report compared between local anaesthesia, dry needling and botox and the other compared between local anaesthesia and dry needling. The two reports looked identical as they used the same pain scores in the local anaesthesia and dry needling groups; therefore, they are merged into one study. It could not be used in the analysis because the author reported the pain intensity in index of three subscales and didn't report the primary results individually. Regarding the overall quality of the studies, the assessment showed that the methodological quality of the included studies in this review was low. The studies aim was relevant to our review objectives. However, they were insufficient to extrapolate the results on the population due to the small number of participants, not all the three interventions are reported in one of the studies and also none of them reported all the relevant outcomes except pain and consequently impacts the external validity of the review. Two RCTs only of 65 participants included which is a very limited amount of evidence to give a just and robust conclusion that could be extrapolated. The review addresses a very clinically relevant issue affecting a wide sector of population, no restrictions were applied regarding language, date of publication, concentrations or certain types of drugs and two review authors assessed eligibility for inclusion, carried out data extraction and assessed risk of bias. Accordingly, we are not concerned that the methods used in the review could have introduced bias. However, some limitations might lead to some potential bias. Choosing three interventions among the different varieties in the treatment options of MPD rather than two interventions only, for instance, botox versus local anaesthesia, botox versus TDN or local anaesthesia versus TDN led to limitations in the search. Also, addressing only MTRPs in the muscles of mastication led to limitations in the number of included studies. The time frame selected by the authors is narrow and limited to two readings only which led to insufficient amount of data. Although the common use of the three interventions in the treatment of MPD, there is a lack of evidence on the most effective one among them in treating patients with MTRPs in the muscles of mastication. There are multiple reviews that studied effect of either botox or dry needling or local anaesthesia in the treatment of MTRPs, however none of them addressed the three interventions in MTRPs in the muscles of mastication. In (Adriana Soares) , a systematic review to assess the effectiveness and safety of botulinum toxin in treating MPD, excluding MPD in neck and head muscles. In , a systematic review and meta-analysis to assess effectiveness of dry needling for patients with upper quarter myofascial pain, craniofacial pain and myofascial pain in other regions included 12 randomized controlled studies reported that dry needling is effective in reducing pain (especially immediately after treatment) in patients with upper quarter pain. There have been fewer studies of patients with craniofacial pain and myofascial pain in other regions, but most of these studies reported findings to suggest the dry needling may be helpful in reducing pain and improving other pain related variables such as the pain pressure threshold. More rigorous randomized controlled trials are clearly needed to more fully elucidate the effectiveness of dry needling. In this review, the limited available evidence suggests that there was insufficient evidence to support the superiority of one intervention over the others or no difference among them in the treatment of MTrPs of muscles of mastication. So, we highly recommend a need for more well-conducted randomized controlled trials (RCTs) in the management of MPD. These studies should make sequence generation by computerization and do allocation concealment by sealed opaque envelopes to avoid selection bias. Also blinding should be triple to participants, personnel and outcome assessors to avoid performance and detection bias. In addition, patient relevant outcomes should be concerned. By this way of designing and conducting RCTs, they could be compared with other similar trials and a meta-analysis could be conducted if appropriate. The sample size of the RCTs should also be calculated beforehand to ensure that the study has adequate statistical power. Moreover, a careful selection of the type of patients seeking for treatment of MPD is mandatory. In other words, refractory patients should be treated differently rather than those who are suffering from MPD for the first time. In addition, patients with co-morbid disease, such as, psychological disturbance should be excluded from the early beginning to be treated from the underlying cause first as it may alter the results. Ernberg M, Hedenberg-Magnusson B, List T, Svensson P (2011) Efficacy of botulinum toxin type A for treatment of persistent myofascial TMD pain: A randomized, controlled, double-blind multicenter study. Pain 152: 1988-1996. DG S (1976) Muscle pain syndromes. Part II. Am J Phys Med 55: 15-42. Simons DG, Travell JG SL (1999) Facial muscles. In: Travell and Simons' Myofascial Pain and Dysfunction: The Trigger Point Manual. Vol. 1 Upper Half of the Body. (2nd edn), Lippincott, Williams & Wilkins, USA, 417-418. Sessle BJ (1999) Neural mechanisms and pathways in craniofacial pain. Can J Neurol Sci 26: S7-S11. Fishbain DA, Goldberg M, Meagher BR, Steele R, Rosomoff H (1986) Male and female chronic pain patient's categories by DSM-III psychiatric diagnostic criteria. Pain 26: 181-197. Fricton JR, Kroening R, Haley D, Siegert R (1985) Myofascial pain syndrome of the head and neck: A review of clinical characteristics of 164 patients. Oral Surg Oral Med Oral Pathol 60: 615-623. Gerwin RD (1995) A study of 96 subjects examined both for fibromyalgia and myofascial pain. J Musculoskelet Pain 3: 121. Han SC, Harrison P (1997) Myofascial pain syndrome and trigger point management. Reg Anesth 22: 89-101. Schiffman EL, Fricton JR, Haley DP, Shapiro BL (1990) The prevalence and treatment needs of subjects with temporomandibular disorders. J Am Dent Assoc 120: 295-303. Velly AM, Mervyn Gornitsky, Philippe P (2003) Contributing factors to chronic myofascial pain: A case-control study. Pain 104: 491-499. Peter E Baldry (2005) Acupuncture, trigger points and musculoskeletal pain. (3rd edn), Churchill Livingstone. Esenyel M, Caglar N, Aldemir T (2000) Treatment of myofascial pain. Am J Phys Med Rehabil 79: 48-52. Hong CZ (1994) Lidocaine injection versus dry needling to myofascial trigger point. The importance of the local twitch response. Am J Phys Med Rehabil 73: 256-263. McMillan AS, Nolan A, Kelly PJ (1997) The efficacy of dry needling and procaine in the treatment of myofascial pain in the jaw muscles. J Orofac Pain 11: 307-314. Borg-Stein J (2006) Treatment of fibromyalgia, myofascial pain and related disorders. Phys Med Rehabil Clin N Am 17: 491-510. Pettengill CA, Reisner-Keller L (1997) The use of tricyclic antidepressants for the control of chronic orofacial pain. Cranio 15: 53-56. Singer E, Dionne R (1997) A controlled evaluation of ibuprofen and diazepam for chronic orofacial muscle pain. J Orofac Pain 11: 139-146. Sobel J, Tucker N, Sulka A, McLaughlin J, Maslanka S (2004) Foodborne botulism in the United States 1900-2000. Emerg Infect Dis 10: 1606-1611. Varma JK, Katsitadze G, Moiscrafishvili M, Zardiashvili T, Chokheli M, et al. (2004) Signs and symptoms predictive of death in patients with food borne botulism-Republic of Georgia, 1980-2002. Clin Infect Dis 39: 357-362. Freeman SR, Cohen JL (2008) New neurotoxins on the horizon. Aesthet Surg J 28: 325-330. Borodic GE, Acquadro MA (2002) The use of botulinum toxin for the treatment of chronic facial pain. J Pain 3: 21-27. Ting PT, Freiman A (2004) The story of clostridium botulinum: From food poisoning to botox. Clin Med 4: 258-261. Blitzer A, Brin MF, Greene PE, Fahn S (1989) Botulinum toxin injection for the treatment of oromandibular dystonia. Ann Otol Rhinol Laryngol 98: 93-97. Iwama H, Akama Y (2000) The superiority of water-diluted 0.25% to neat 1% lidocaine for trigger-point injections in myofascial pain syndrome: A prospective, randomized, double-blinded trial. Anesth Analg 91: 408-409. Daniel E Becker, Kenneth L Read (2012) Local anesthetics: Review of pharmacological considerations. Anesth Prog 59: 90-102. Lewit K (1979) The needle effect in the relief of myofascial pain. Pain 6: 83-90. Borodic GE, Acquadro M, Johnson EA (2001) Botulinum toxin therapy for pain and inflammatory disorders: Mechanisms and therapeutic effects. Expert Opin Investig Drugs 10: 1531-1544. Howard S Smith, Audette J, Royal MA (2002) Botulinum toxin in pain management of soft tissue syndromes. Clin J Pain 18: 147-154. Sellin LC, S Thesleff (1981) Pre- and post-synaptic actions of botulinum toxin at the rat neuromuscular junction. J Physiol 317: 487-495. Blitzer A, Sulica L (2001) Botulinum toxin: Basic science and clinical uses in otolaryngology. Laryngoscope 111: 218-226. Baldry P (2002) Management of myofascial trigger point pain. Acupunct Med 20: 2-10. Chou Li-Wei, Mu-Jung Kao, Lin JG (2012) Probable mechanisms of needling therapies for myofascial pain control. Evid Based Complement Alternat Med. Chen JT, Chung KC, Hou CR, Kaun TS, Chen SM, et al. (2001) Inhibitory effect of dry needling on the spontaneous electrical activity recorded from myofascial trigger spots of rabbit skeletal muscle. Am J Phys Med Rehabil 80: 729-735. Hsieh YL, Chou LW, Joe YS, Hong CZ (2011) Spinal cord mechanism involving the remote effects of dry needling on the irritability of myofascial trigger spots in rabbit skeletal muscle. Arch Phys Med Rehabil 92: 1098-1105. Cagnie B, Barbe T, De Ridder E, Van Oosterwijck J, Cools A, et al. (2012) The influence of dry needling of the trapezius muscle on muscle blood flow and oxygenation. J Manipulative Physiol Ther 35: 685-691. Sandberg M, Lundeberg T, Lindberg LG, Gerdle B (2003) Effects of acupuncture on skin and muscle blood flow in healthy subjects. Eur J Appl Physiol 90: 114-119. Sandberg M, Larsson B, Lindberg LG, Gerdle B (2005) Different patterns of blood flow response in the trapezius muscle following needle stimulation (acupuncture) between healthy subjects and patients with fibromyalgia and work-related trapezius myalgia. Eur J Pain 9: 497-510. Ohkubo M, Hamaoka T, Niwayama, Murase N, Osada T, et al. (2009) Local increase in trapezius muscle oxygenation during and after acupuncture. Dyn Med 8: 2. Sato A, Sato Y, Shimura M, Uchinda S (2000) Calcitonin gene-related peptide produces skeletal muscle vasodilation following antidromic stimulation of unmyelinated afferents in the dorsal root in rats. Neurosci Lett 283: 137-140. Hsieh YL, Yang SA, Yang CC, Chow LW (2012) Dry needling at myofascial trigger spots of rabbit skeletal muscles modulates the biochemicals associated with pain, inflammation, and hypoxia. Evid Based Complement Alternat Med. Gillian A Hawker, Samra Mian, Tetyana Kendzerska, French F (2011) Measures of adult pain: Visual Analog Scale for Pain (VAS Pain), Numeric Rating Scale for Pain (NRS Pain), McGill Pain Questionnaire (MPQ), Short-Form McGill Pain Questionnaire (SF-MPQ), Chronic Pain Grade Scale (CPGS), Short Form-36 Bodily Pain Scale and Measure of Intermittent and Constant Osteoarthritis Pain(ICOAP). Arthritis Care Res 63: S240-S252. Hunt SM, McKenna SP, McEwen J, Williams J, Papp E (1981) The Nottingham health profile: Subjective health status and medical consultations. Soc Sci Med A 15: 221-229. (2014) Review Manager (RevMan) [Computer program]. Version 5.3. Copenhagen: The Nordic Cochrane Centre, The Cochrane Collaboration. Higgins JPT, Green S (2011) Cochrane Handbook for Systematic Reviews of Interventions Version 5.1.0. The Cochrane Collaboration. Venancio R de A, Alencar FG, Zamperini C (2009) Botulinum toxin, lidocaine, and dry-needling injections in patients with myofascial pain and headaches. Cranio 27: 46-53. Gul K, Onal SA (2009) Comparison of non-invasive and invasive techniques in the treatment of patients with myofascial pain syndrome. Agri 21: 104-112. Atef F (2014) Comparison between four treatment modalities for active myofascial triggers points. Plastic and Aesthetic Research 1: 21-28. Adriana Soares, Régis B Andriolo, Álvaro N Atallah, da Silva EM (2012) Botulinum toxin for myofascial pain syndromes in adults. Cochrane Database Syst Rev. David M Kietrys, Kerstin M Palombaro, Mannheimer JS (2014) Dry needling for management of pain in the upper quarter and craniofacial region. Curr Pain Headache Rep 18: 437. Nagwan A Elsayed, MSc, Faculty of Oral and Dental Medicine, Department of Oral and Maxillofacial Surgery, Cairo University, Hadayeq El Qubba, Cairo, Egypt, Tel: +20-0111-8489-627. © 2018 Elsayed NA, et al. This is an open-access article distributed under the terms of the Creative Commons Attribution License, which permits unrestricted use, distribution, and reproduction in any medium, provided the original author and source are credited.